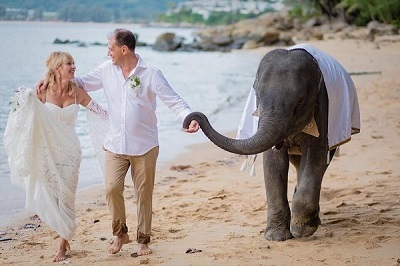 Are you looking for Small Wedding Ideas for your destination beach wedding in Phuket? 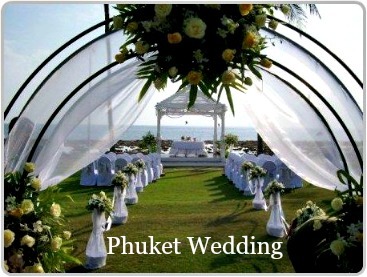 If you are planning a small intimate beach ceremony in Phuket or would love to elope or renew your wedding vows. Congratulations you have found the perfect wedding for your needs. 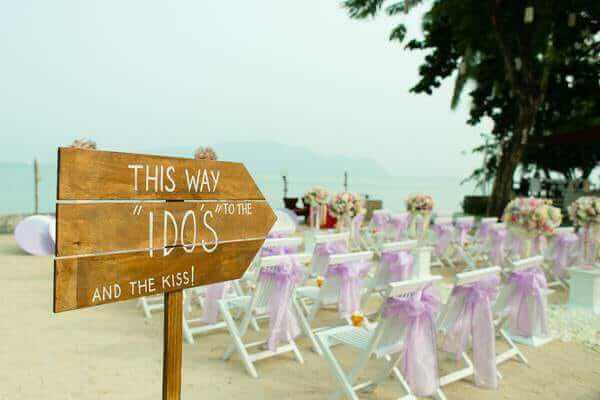 A simple beach wedding in Phuket is the perfect choice; and there are many small and unique wedding ideas you can include to emphasize the beachfront location. 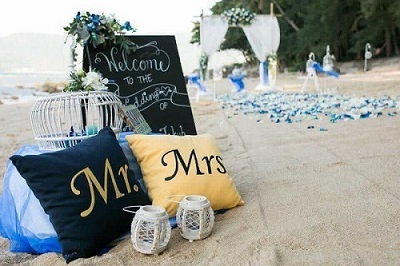 Let’s explore a couple of small wedding ideas you may like to include for a romantic beach wedding in Phuket. Keep reading for information about this package and the inclusions or go straight to our Contact Form. Small Weddings and vow renewals are no less romantic than large expensive weddings and are much more intimate. 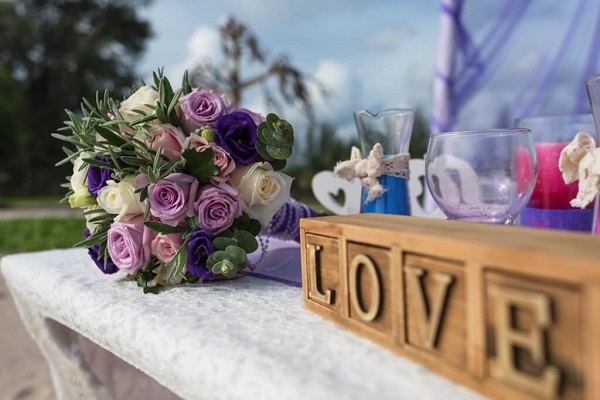 If you are planning a destination wedding in Phuket, loaded with small wedding ideas this simple yet beautiful package is perfect for the budget minded bride & groom without compromising on quality or service. The simple beach wedding or vow renewal ceremony is organised and celebrated on a beautiful secluded west facing beach, the perfect backdrop to capture stunning pictures of the Bride & Groom on sunset. This package features everything you could wish for, however if you have any small wedding ideas that you would like to incorporate in your ceremony, the wedding planner will be happy to customise the package to suit your requirements. After you and your partner arrive in Phuket and prior to your special day the wedding planner and the Celebrant will meet with you to go over all the details to ensure that your wedding day runs smoothly. The simple beach wedding package includes return transport for the Bride and Groom and any guests to and from your resort, hotel or villa to the beachfront location. Upon arrival at the beachfront location the bride & groom and their guests will be greeted by the English speaking marriage celebrant. The beachfront setting will be beautifully decorated with a bamboo gazebo and depending on the size of your wedding party; seating can be provided. This package or vow renewal ceremony comes complete with a bridal bouquet for the Bride and a corsage for the Groom. Included in the ceremony is a 1 hour photo session with a professional wedding photographer. Following the celebrations you and your guests will be returned back to your hotel, resort or villa. 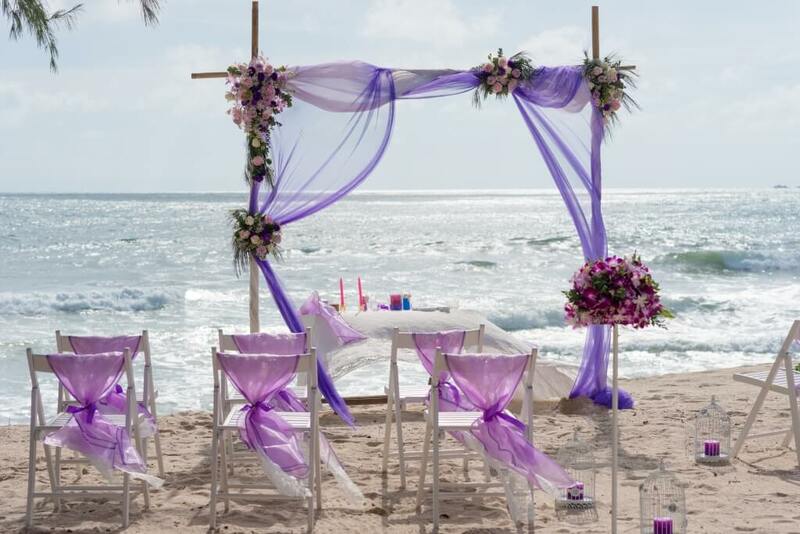 This package is designed to be a simple and relaxed beach wedding, however it can be customised and you are more than welcome to add inclusions such as extra guests, reception meals and beverages if your require. The total price of this wedding package depends on the extra inclusions you choose. For more information and prices on the simple romantic package, or if you would like information about other small wedding ideas please complete the contact form below. By completing this contact form your details and any questions you may have will be referred onto our preferred and most trusted professional wedding planner in Phuket.